19 Aug – An inmate who used a sheet to scale a wall and break out of a New South Wales prison has appeared in court charged with escaping police custody and stealing a car. Up to 20 police and the dog squad were involved overnight in the search for 28-year-old Stephen Jamieson, who is serving time in the maximum security facility in Goulburn for armed robbery. 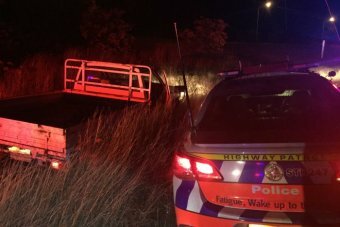 Police said he was spotted driving a stolen ute on the Hume Highway at Marulan, east of Goulburn, just before 11:00pm. Attempts to pull over the car were unsuccessful, and police pursued it. Road spikes were used to stop the ute at Pheasants Nest, to the north-east. Jamieson allegedly tried to flee, but was arrested nearby, police said. Photo: Authorities found a pillow inmate Stephen Jamieson tied around his waist during his escape from Goulburn prison. Dressed in prison greens at a Goulburn court on Wednesday, Jamieson did not enter any plea to the charges, which included driving an unregistered or uninsured vehicle, driving without a licence and police pursuit (Skye’s Law). 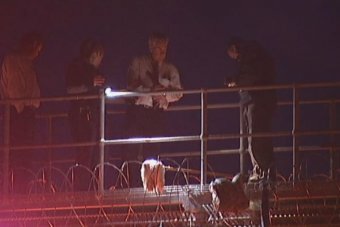 His escape has prompted Corrective Services NSW to order a review of security arrangements in the prison’s maximum security section. Corrective Services commissioner Peter Severin said the review, to be conducted by a New Zealand Department of Corrections security expert, would begin next Monday. Jamieson had been in segregation after being identified as a suspect over the discovery of a man-made hole in the floor which was found in the prison earlier this month. Mr Severin said Jamieson escaped after cutting through a metal gate at the back of a small secure exercise yard that is attached to each segregation cell. Photo: The stolen ute after the end of the police pursuit. “He was able to get out of that exercise yard and then he had a range of bed sheets that he tied together and was able to swing them over the wall to then effect his escape by scaling that wall,” he said. Jamieson had been in custody since 2013 and was serving 12 years in prison for armed robbery. 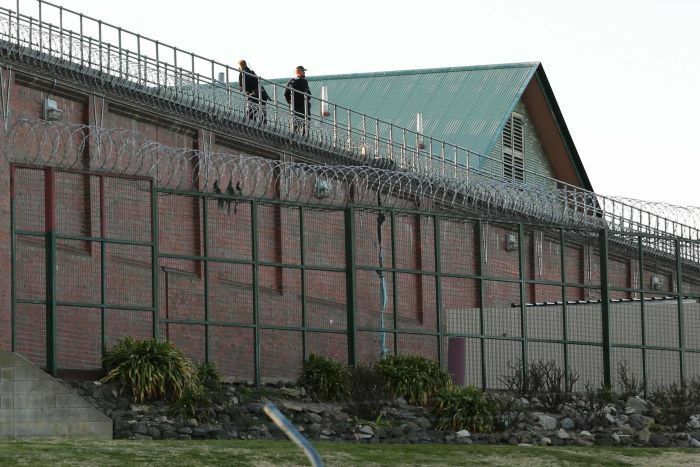 Officials emphasised the jail break did not occur at the High Risk Management Correctional Centre, known as Supermax, at the same Goulburn facility.